At The Law Office of Nathan C. Cooley, PLC, in Mesa, Arizona, we are fully prepared to help you secure the full amount of compensation you deserve for the injuries and losses you sustained as the result of someone else's negligence or wrongdoing. 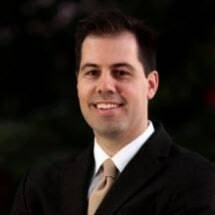 Serving clients throughout Maricopa County and all of the surrounding areas, attorney Nathan C. Cooley is a native of Arizona with more than a decade of successful trial experience. A former prosecutor with the Maricopa County Attorney's Office, he gained invaluable trial skills that serve him well as he pursues the most favorable outcome possible for those in need. In 2008, he established our law firm with a mission to provide the highest level of advocacy and support for individuals and families with their personal injury and wrongful death claims arising from car, truck and motorcycle accidents, dog bites, dangerous property conditions and other similar claims. In addition, our law firm handles many other types of civil litigation matters, and to date, we have secured substantial settlements and awards for our plaintiff clients. You do not have to face your struggles alone. By contacting The Law Office of Nathan C. Cooley, PLC, as soon as possible after your accident and taking advantage of our law firm's free initial consultation, you can begin the process of obtaining the justice you seek and securing a brighter future for yourself and your family.